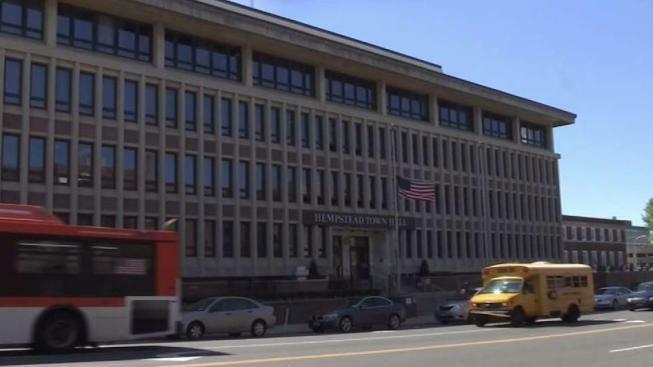 For the first time, the Town of Hempstead is notifying its residents that their homes might still be Sandy-damaged, despite the fact that the storm happened in 2012.
Letters were sent to 13,000 property owners last week, and now people are finding out that immediately after Hurricane Sandy, inspectors from the Town of Hempstead Building Department did preliminary damage assessments of storm-ravaged homes. They gave each home a color code designation. Green for no damage, yellow for some flood damage and red for serious damage. If your home is marked yellow or red, that could trigger a second assessment that could result in your home needing to be elevated. These letters are being sent after the NBC New York I-team revealed that people were buying renovated homes after Sandy, only to discover those homes needed to be elevated, which could cost tens of thousands of dollars. The I-Team also learned that Hempstead wasn’t sharing pertinent information with potential buyers and homeowners. Homeowners Fara and Lee Stricker, who bought after Sandy, were baffled by the letter. While Sandy occurred while a different administration was at the helm, current town supervisor Laura Gillen is vowing to be more transparent. "Under my watch, I was not going to let homeowners... go unaware that this was happening to their homes," she said. Thirteen thousand letters were sent to property owners in the flood zone, but to date, less than 4,500 Sandy repair permits have been sought, leaving Gillen worried that many homeowners may need to elevate their homes, but never started the process. If you receive such a letter, you are urged to contact the supervisor’s office, and they can help you find out your preliminary damage assessment and if you need to take further steps.